Russian-terrorist troops in Donbas continue using the truce to regroup their forces and equipment currently concentrated in Donbas. Tactical reserves are being transferred to the Donetsk sector (armored vehicles, artillery, Russian mercenary units) and to the Horlivka area (a battalion tactical group, transferred in parts). Over the last three days (03.01 – 03.03), we observed 16 tanks, 23 armored combat vehicles and 12 towed artillery guns (mainly D-30 howitzers) moving towards Donetsk and Horlivka from several directions: through Debaltseve and Yenakijeve, and via the southern route, through Snizhne, Ilovaisk, and Starobesheve. 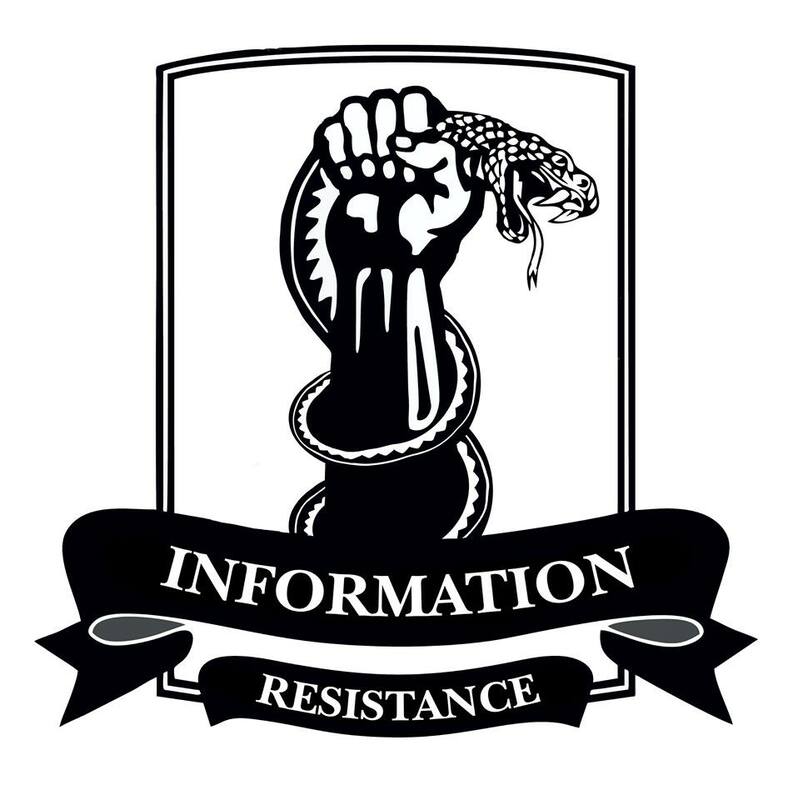 Russian-terrorist units are concentrating in the Dzerzhynsk and Artemivsk sectors (we observed a total of 4 company tactical groups with appropriate artillery support, moved here from the south). As of this time, forces previously concentrated in the Dzerzhynsk sector have been reinforced by 12 tanks and 23 AVCs, and a four-battery artillery group (cannon artillery and 8 MRLS units). These resources are being transferred here from southern areas, where the terrorists claim they are “withdrawing” weapons. 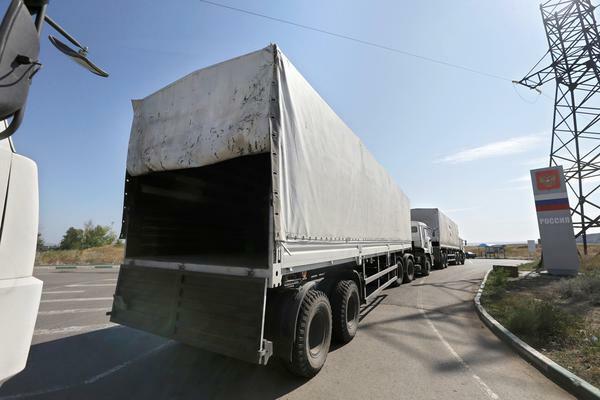 Armored vehicles continue arriving in small batches (3-4 units) and accumulating in the Artemivsk sector. Additionally, the enemy continues actively accumulating material and supplies in these areas (primarily fuel and ammunition; armaments currently deployed are supplied with 4-5 days’ worth of ammunition, for certain calibers). The ‘supply stations’ and ‘warehouses’ are set up in maximum proximity to the front line. The organization and management of warehouses and supply accumulation points are under strict control by ‘command representatives,’ among which we were able to identify officers of the Russian Armed Forces. The warehouses are guarded by well-armed security details. In both the ‘DNR’ [Donetsk People’s Republic] and ‘LNR’ [Luhansk People’s Republic], Russian [military] specialists are overseeing the training of insurgent units at a number of improvised training grounds. The main training focus is on the cooperation between different types of troops – ‘infantry,’ tank units, and artillery units. The Russian-terrorist tactical group concentrated in the Novoazovsk sector is attempting to push Ukrainian units back from the village of Shyrokyne. The terrorists are also actively faking a “withdrawal of troops” in this area (in reality, units withdrawn during the day return to their positions at nighttime – or to use the insurgents’ own term, “spinning the merry-go-round”). The enemy is continuing an active reconnaissance of the Ukrainian battle lines in several sectors at once. Russian-terrorist troops are attempting to rapidly intensify the use of sabotage-reconnaissance groups (SRG) over an area spanning as far as the tactical rear of the Ukrainian troops. The enemy is capable of conducting such operations due to the lack of the Ukrainian troops’ continuous control behind the line of engagement (at best, they have fire control over areas between neighboring positions, i.e. the ability to fire on these areas). Discontent is growing in the ranks of the so-called “militia” in Donbas as they are no longer being paid a monthly allowance. In Makiivka, insurgents are deserting gangs en masse, no longer being able to support their families after the monthly allowance cut. 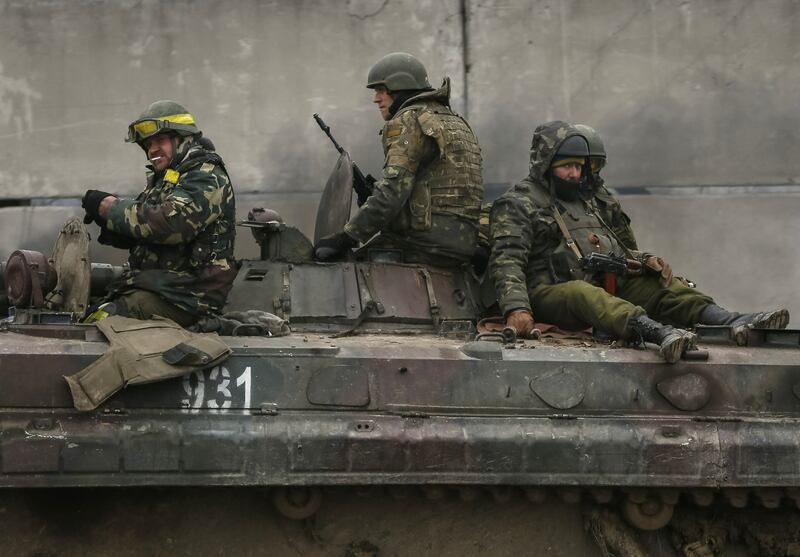 Insurgents continue shelling in the Stepne – Hranitne area, south of Donetsk. One Ukrainian armored vehicle has been hit. According to the reports of the Russian FSB [Federal Security Service] group responsible for coordinating efforts in Donbas, the creation of the “state security ministries” of the ‘DNR’ and the ‘LNR’ is 25% complete as of this time. The organizational efforts of local “specialists” are described as inefficient. The further creation of the above structures will be entirely controlled by representatives of Russian special services. The coordinator appointed by the Russian FSB to oversee creation of the “state security bodies” of terrorist organizations in Donbas is Pyotr Zima, former head of the Sevastopol Department of the Security Service of Ukraine. On March 2, 2014, Pyotr Zima, former head of the SBU Sevastopol Department, was appointed the ‘Head of the SBU of Crimea’ by the collaborationist government of the Autonomous Republic of Crimea. On March 3, 2014, Acting President of Ukraine Oleksander Turchynov dismissed Pyotr Zima from his position. The Security Service of Ukraine possesses evidence that the unlawfully appointed ‘Head of the Main Directorate of the SBU of Crimea’ Pyotr Zima was involved in the mass murders of peaceful civilians in Kyiv in February 2014. The turncoat Zima also actively collaborated with the Russian FSB during the annexation of Crimea. VoU note: Pyotr Zima is included in the list of people sanctioned by the U.S. Department of the Treasury’s Office of Foreign Assets Control for being complicit in violating the territorial integrity of Ukraine.